The question excited me, maybe because I had an answer. (That’s increasingly rare lately.) There’s nothing specific that would make my daughter think Yoga wasn't a woman, but her question was a sign that she may have had some discussions in her preschool class about gender identity. Before I was done patting myself on the back, she began talking about the Nemo-esque fish on her puzzle. But the subject is one I’ve been thinking about, as gender issues seems to be everywhere, from preschool recess games to the presidential election. The night we learned Donald Trump was to be our next president, a group of 30 parents and educators gathered in the basement of Annette’s Preschool in Hinesburg for a workshop entitled “Supporting Healthy Gender Development in Preschool.” It was a facilitated panel discussion on how to support children and raise awareness — while broadening the acceptance of the varied ways kids express gender and explore identity at a very young age. “It’s a good moment to dig deep and find community and move forward,” said moderator Dana Kaplan, director of education at Outright Vermont. Seven panelists spoke: two parents of transgender girls, three teachers, a social worker and a doctor from the University of Vermont Children’s Hospital’s Transgender Youth Program. 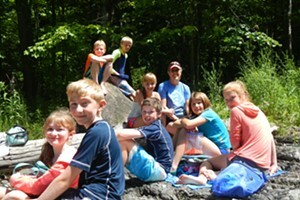 Kids under the age of 12 are “the fastest-growing area of the work we do [at Outright Vermont] ,” Kaplan said. Transgender children might feel they aren’t being heard or validated when talking to adults about their gender identity, but will be “insistent, persistent and consistent,” the parent speakers said. Several noted how unconscious classroom practices, like “all the girls” lining up, or a seating arrangement that’s "girl-boy, girl-boy" means youngsters must identify early, despite being unsure about how an assigned gender feels to them. Caregivers and teachers may be the first to notice a child is trying to share their identity, teachers said, and parents are sometimes slower to see it. Dr. Jamie Mehringer, chief pediatric resident at UVM College of Medicine, said he saw many institutions bringing gender into children’s lives when it is irrelevant. “Gender segregating bathrooms in a preschool, separating kindergarteners onto a boys' or girls' soccer team… we’re forcing gender onto situations where it’s not really that useful.” Breaking down those barriers was an essential step, he explained. 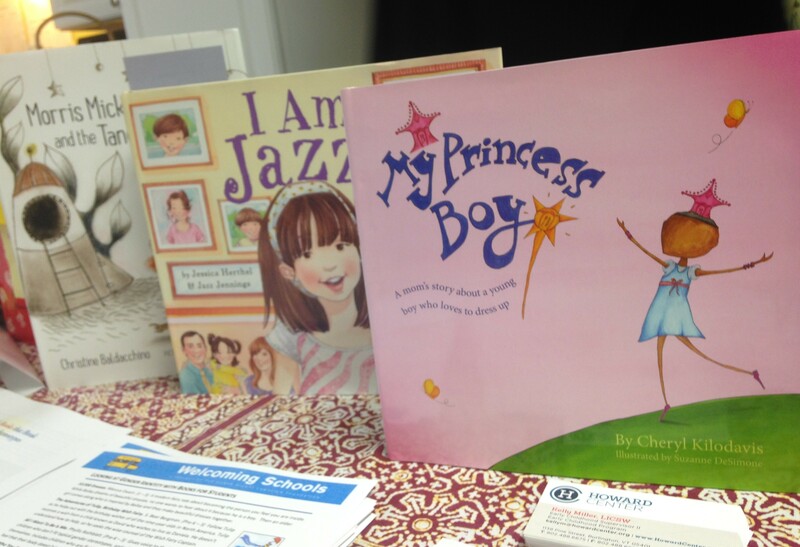 A number of handouts, including tips on being an ally and becoming more gender inclusive, and a few picture books, including I Am Jazz, Morris Micklewhite and the Tangerine Dress and My Princess Boy, were spread on a table for participants to peruse. And Outright Vermont noted they held support groups for trans and gender-creative children. I'm already starting to see my daughter's friends shift to include more girls than boys. As she gets older, the gender-related issues she deals with will undoubtedly become more complex. The workshop made me more aware of the importance of keeping an open mind when it comes to gender identity, so that I don't make assumptions or take actions that might inadvertently harm my daughter or her friends.